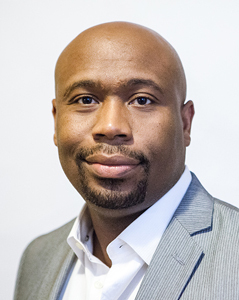 Roderick C. White earned his Juris Doctorate (Law Degree) at the University of Houston Law Center. While a law student, Mr. White proudly interned in the legal department at the Houston Branch of the NAACP and at one of the most prestigious capital punishment defense law firms in the nation, the Texas Defender Service. In addition, Mr. White has a Master’s degree in Sociology from the University of Houston where he was awarded a Graduate Teaching Assistant Fellowship. While a sociology graduate student Mr. White’s thesis and research emphasis was in the sociology of law. Mr. White earned his bachelor’s degree from Louisiana State University in Baton Rouge, Louisiana, where he repeatedly earned the honors of being placed on the Dean’s List and elected to the Student Senate. Roderick was born in the small west Texas town of Sweetwater however, he was raised a short distance away in Big Spring, Texas where he was a stand-out high school basketball player earning an athletic scholarship. Mr. White is also a veteran of the United States Army where he served in the Persian Gulf, South Korea and at Fort Hood, Texas. He was awarded an Army Commendation Medal and two Army Achievement Medals.